Experience: Adrian Kruger currently practices as an Advocate at the Johannesburg Bar after completing his pupillage in December 2003. He is an experienced litigator, having spent two years as a Public Prosecutor and, after completing his articles, six years in private practice as an Attorney. He has litigated in the Criminal and Civil Courts, including the High Court of South Africa. 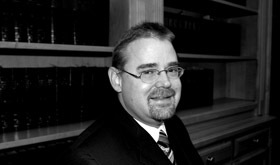 His special interest is commercial, corporate law and labour law and he frequently appears in the High Courts in respect of disputes relating thereto.